Everyone is asking how I get the idea about the shout out I've made yesterday, #MOVEUPMonday. Well, honestly, I saw my eldest daughter bring samples of UNILIVER products from school and a little MAGbrochure from #TeenWeekPH. It is a guide for future-ready teens presented by CANDYMAG.COM and I said to myself, "How about to use this hashtag shoutout for single parents like me". I hope this is okay, to get their hashtags and used it for another advocacy, to help my co-single parents. Transform yourself in a better way. 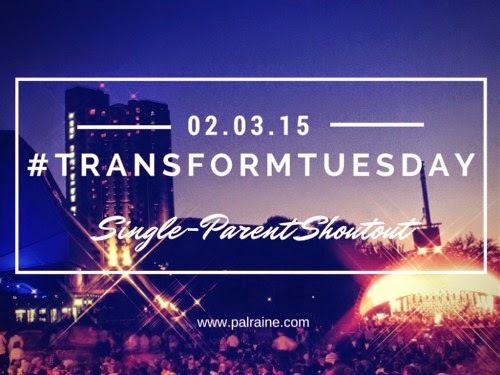 Single-parents feel that they are abandoned or think that they are a curse to society. STOP BLAMING! GIVE IT UP. STOP. LET IT GO. Best to start is to think POSITIVE. Made up your mind that you have to change, but the question is HOW and WHY? This is base on my own experience, as I said from my yesterday's post - - I don't know what to do and where to go when I needed help. I was aware that I am alone together with my kids, but the real fact, though I feel tough I am still afraid what will happen with our future. A feeling of abandonment from myself that I cannot think of a single empath who can deeply perceive what I feel. I know this sounds crazy and you will think this can't be REAL. But my own experience over the last 9 years has taught me to be more TOUGH and FACE exactly the problems. There are so many changes and choices I've gone through as a single-parent, from a stubborn only child brat to a simplify life - - - what I have now, I am satisfied. Everyone of us is different - - no one will follow my choices exactly. Even the way I've made myself CHANGE. You really need to figure out what works with you better. As a single-parent, I keep a journal to write down my feelings, ideas, goals and activity. Writing is one of the most useful things I've done to change my life for good. Yes, it works silently but effectively. You only need a pen and a paper. Keep a Morning Phrase - say it every morning, by the time you wake up. This really help me...I say something positive and it will come true during the day. Just try and tell me how you feel. Start a NEW DIET - Don't forget, even if you're alone, you still need to feel good. Single-Parents should not to forget to take care of their health, especially that they're working so hard to earn a living for their children. Think also for your own HEALTH. In my case, I have this DIET PLAN called EAT SIX MEALS A DAY(don't skip meal)and WARM WATER EARLY MORNING. Start your own business and be your own boss. This is why I manage and owned my netshop. I know, it sounds so shallow but I want to work with my own hours. Wake up early(although everyone says that this is not a habit, but a lifestyle) and I agree. With these, I can open my shop early and I can make more post in my blog. For waking up early(with a purpose) is keeping an eye to a very big opportunity. As the old quotes says: "EARLY BIRD CATCHES BIG WORMS". Maybe life wasn't fair for us as single-parents. Yes, I know, I've been there and life is never fair. I cry so many nights with the situations I have, but I never quit. For me, I hug all the negative one's and become my guide to be strong and never give up. It's so unique, fantastic, challenging, one of a kind hard job...and little by little I realize that, I am here to acknowledge life's wonder, not to prove and pin point anybody's fault. They're not wrong, we have different opinions. And that's part of life. TRANSFORM for the good of your children. Being a parent we are filled with unconditional, life lasting love - - just begin with small steps at a time. The topic caters not only to single mom but in general as well. Think positive and you will get success. Yes Papaleng, I will. Thanks. i thinks this applies to all. and we all feel abandoned somewhere in our past with some choices... and take note they are not mistakes but a choice made with our own freewill... we can only do better next time . Well said Love Mindanao. Thanks. Personally, I don't see anything wrong about being a single parent. For some who look at it at "morality thingy issue", I say that is bull****. I guess life would be much easier if we focus on the positive side. I really admire single parents for being so strong. I was once a single parent and it can be hard at times, society seem to make it worse, there was always a stigma to it. Positive thoughts do help a great deal. I salute single parents, they are really doing a tough yet great job in raising their children. Keep at it and stay strong.